Today I have a busy blog post for you as I’m sharing my review of The Adults, which is published today, as well as an interview with the author Caroline Hulse. First of all, my thoughts on the book. Divorced couple Claire and Matt agree to spend Christmas together so they can both be with their daughter Scarlett. They decide to go to Happy Forest Holiday Park and stay in a lodge with their new partners – what could possibly go wrong? Well, the story begins with a phone call to the emergency services following an incident at the archery range so plenty can go wrong! The Happy Forest Holiday Park is a place that I imagine many readers will be able to visualise easily. I’ve been going to Center Parcs with my family since my older daughter wasn’t quite one. Both my girls are now in their late teens and still love it. But I can’t imagine how tense it would be to visit with ex-partners and people I didn’t even know. Forced together at ‘the most wonderful time of the year’, which can already be stressful, and trying to be civilised adult not surprisingly puts a strain on all four of the characters. I liked the women best I have to say although they were far from perfect. The men seemed mostly oblivious to any issues they might be creating, lost in their only little worlds! Young Scarlett was an interesting character especially when she was influenced by Posey, her imaginary rabbit friend. When this book arrived, it came with a game where decisions you made decided which character you were most like and how adult you were. I came out as 75% adult and most like Alex and, having read the book, I’m quite happy with that! As casual conversations revealed details of the previous relationships and secrets the various partners have kept from each other, the book became bit like car crash TV – it was full of awkward situations that made you cringe but you just couldn’t stop reading! HI Caroline and thanks for joining me on what must be a very exciting day for you! First of all, would you tell my blog readers a little about yourself? Hi Joanne, thanks for having me. I’m attaching my standard bio here for simplicity, I don’t usually talk about myself in the third person, honest! Caroline spends most of her days writing, having fulfilled her dream of having a job she could do in pyjamas. She also works in Human Resources sometimes. She is openly competitive and loves playing board and card games. 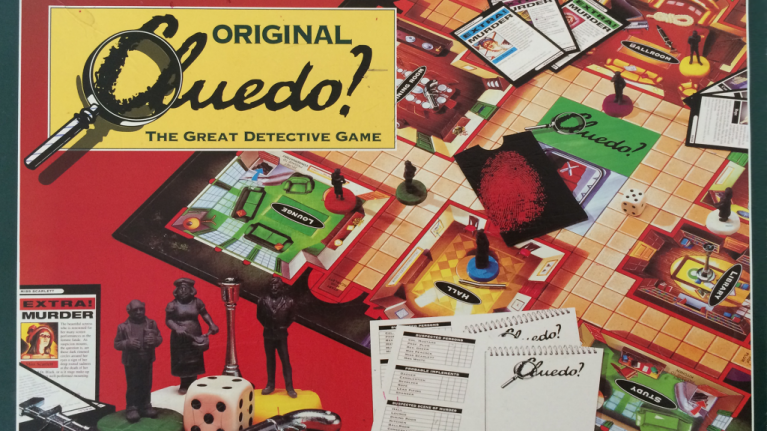 She can often be found in casino poker rooms, and wishes other people would want to play Cluedo for money. She lives with her husband in Manchester, where the two are captive to the whims of a small, controlling dog. I’d always written bits, but never really thought of writing as a career – I always thought writing was for ‘other people’, who didn’t need to earn a living. But then I read a book on the bestseller list that I found really uninspiring and decided surely I could do better than that…? So I started writing after work and at weekends. As an aside, since then, I understand my snarky view about that book was really unfair – I’ve learnt a lot more over the years about genre expectations, and that the level of skill involved in the execution in some of even the simplest-seeming of books can be deceptive. But by the time I understood all that, it was too late, and I had the writing bug. Long! Eighteen years, four unpublished novels before this one, very little positive feedback and at least a hundred rejections along the way. Fairly standard, I think. I’ve given up writing loads of times (basically every time my latest book was roundly rejected) but each time and sworn off it, an idea just came to me, and I found myself starting to sketch thoughts out again. I finally got my break when I got interest from one agent, finally, in the book I wrote before The Adults. The agent actually rejected me but, by then, she but had already put me in touch with someone else in the industry, who mentioned my work to my brilliant agent, Caroline Hardman. Caroline liked my work and took me on. Even though that book didn’t get published, the next one was The Adults, and that was snapped up quickly. Two divorced parents. Their daughter. Their new partners. A family holiday… of sorts. What could possibly go wrong? I wanted a short title that could be read ironically, and I thought The Adults captured the spirit perfectly. I expected the title to change but, fortunately, my publishers liked it. I hear from other authors that it’s a very strange day indeed – lots of highs and lows, and also just weird ‘nothingness’ – so I am just going to take it easy and not attempting to write anything. I will be celebrating with a launch party with friends, but that’s not on the day itself. I suspect I may sneak into a bookshop, and also have a little drink or two. I just yesterday submitted my first draft of the next one to my editor. It’s a different story, but has a similar feel and perspective on the world to The Adults. I read so many books, I could spend a long time thinking about this question! 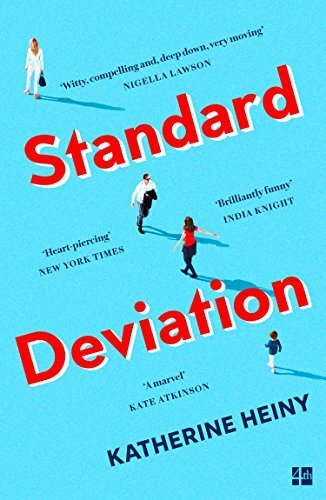 Today, I’ll say Standard Deviation by Katherine Heiny for great characterisation. 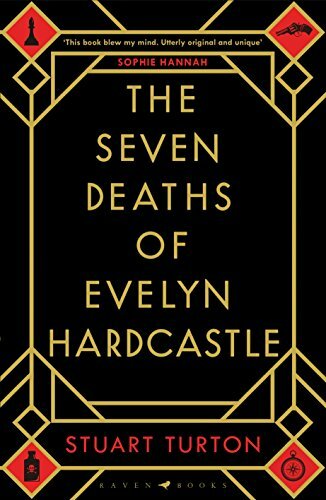 The Seven Deaths of Evelyn Hardcastle by Stuart Turton, for doing something so new and interesting in the mystery genre. 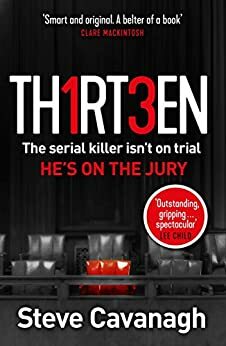 And, for a page-turning thriller, it would be Thirteen by Steve Cavanagh. I’m already arguing the case for loads more in my head but I’m just going to leave it there before I get stuck um-ing and ah-ing. 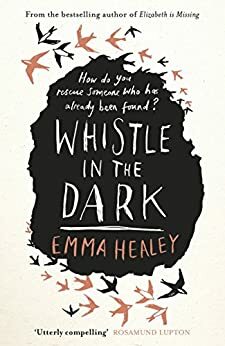 I’ve just started Whistle in The Dark by Emma Healey. I’m only a few chapters in but I’m liking it so far. Me Cheeta by James Lever. 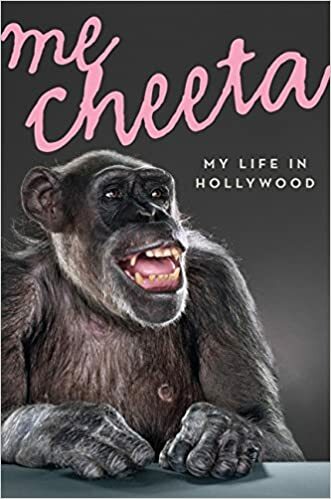 I never would have thought a Hollywood memoir, written from the point of view of a chimpanzee, could have been so funny and moving. Such a strange, great book, and it has way more impact than it should. I love reading a quality book that makes me feel like I’ve never read anything like it before, and that is a perfect example. Ha! I would prefer none of my favourite books were ever made into films, as the film always dilutes my memory of the book. That is a very misanthropic answer and, of course, if anyone decides to option my books to make into films, you won’t hear a peep from me about it being a problem! Apologies if it’s bad form to reference my own, but I’m going to anyway. I’d like to be Scarlett, the child in The Adults who has an imaginary rabbit friend. It would be ace to have a proper imaginary friend. Someone who could pop up on a whim to mess about and have fun with, someone who is always on your side. How good would that be?